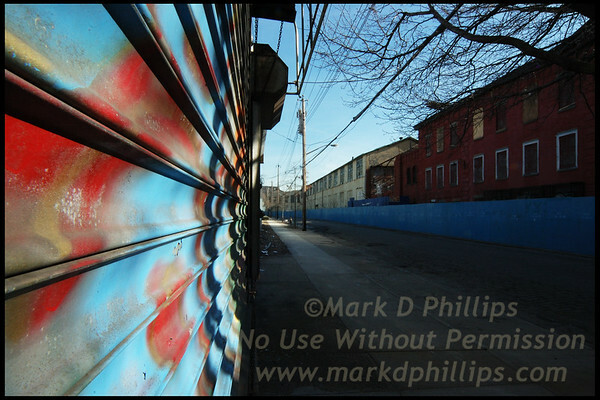 The Mark D Phillips Collection - South Brooklyn Internet Inc. 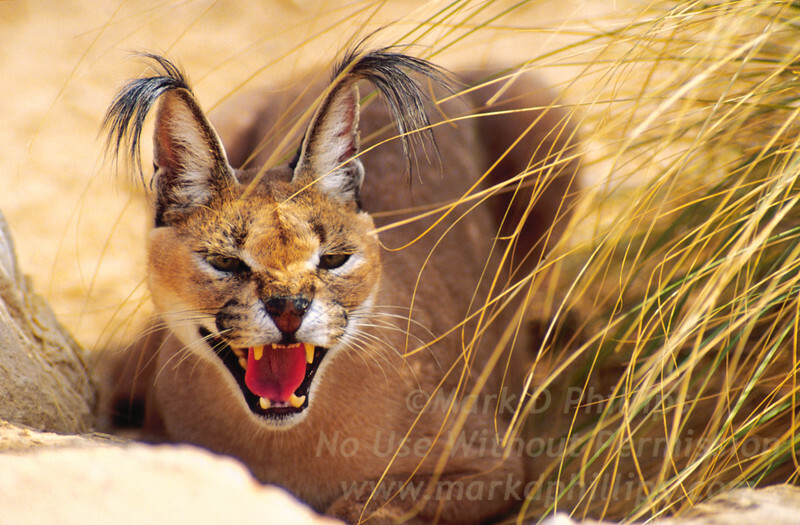 The Best and Favorite images by Mark D Phillips. Available in framed, signed special sizes on metallic paper. The images are museum quality. 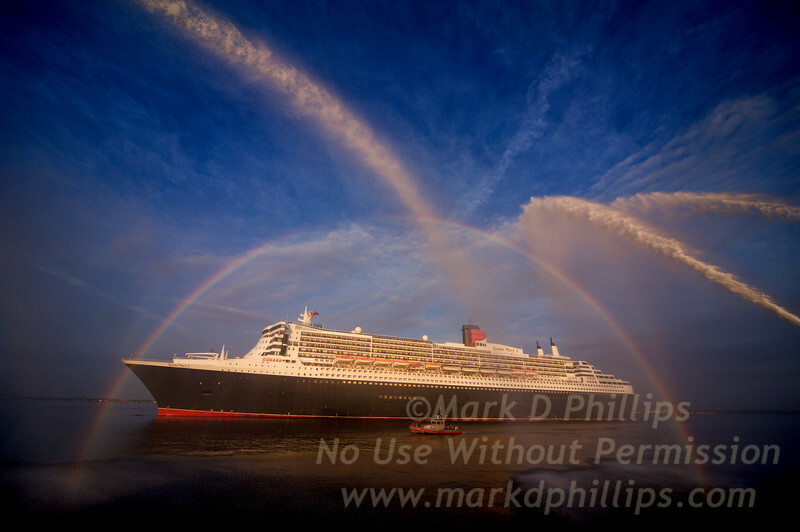 QM2 surrounded by a rainbow and spray from the John J. Harvey fireboat for the arrival of the ship in New York Harbor celebrating the 175th Anniversary of the Cunard Line's first trans Atlantic crossing. 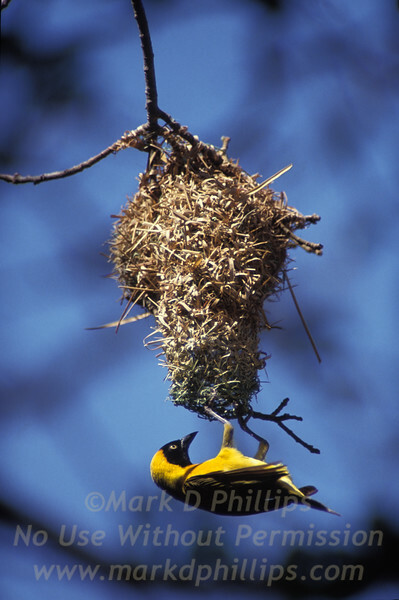 Southern masked weaver (also known as African masked weaver) hangs from the entrance to its nest in Kruger National Park in South Africa. 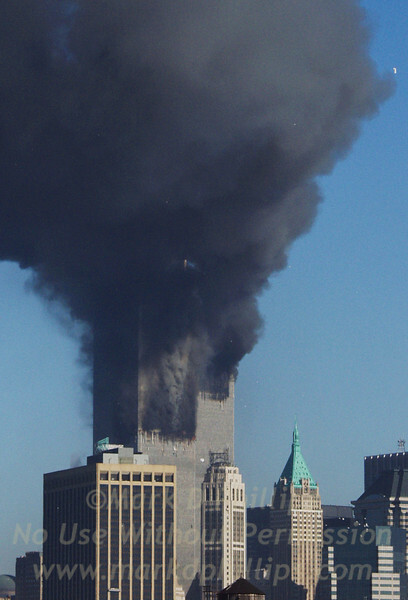 Face in the smoke of World Trade Center on September 11, 2001 just seconds after the second plane struck the south tower. MANDATORY CREDIT: ©2001,markdphillips.com/Mark D. Phillips NOT TO BE PRINTED OR RETRANSMITTED WITHOUT EXPRESSED WRITTEN PERMISSION OF THE COPYRIGHT HOLDER. 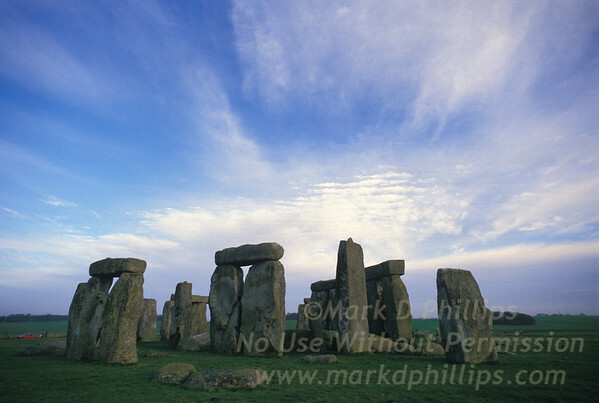 Contact mark (at) markdphillips.com for licensing contracts. The Tower of Light tribute over the lower Manhattan skyline on the twelfth anniversary of 9/11 in 2013, looking across Brooklyn Bridge Park and the Squibb Park Bridge from the Heights Promenade. 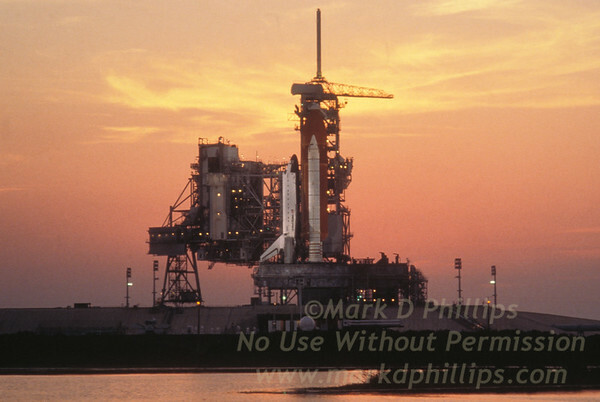 Space Shuttle Discovery on Pad 39 at Kennedy Space Center in Florida the night before launch with a blazing sunset. STS-29 was the 28th Space Shuttle flight and the 8th by Discovery. It took off from Launch Pad 39-B on March 13, 1989 at 9:57:00 a.m. EST. It landed at Edwards AFB on March 18, 1989 at 6:35:51 a.m. PST. The main payload carried and placed into orbit was the Tracking and Data Relay Satellite. A flower sits atop the oil scum that passes for water in the Gowanus Canal in Brooklyn, NY. At times, the water is so thick that everything seems to rise out of it. Plastic bottles stay above the water of the Gowanus Canal in Brooklyn, NY, as the contaminated waterway looks nearly solid. May 25, 2006 - The US Navy Blue Angels pass in formation just above the Statue of Liberty in preparation for the Bethpage Federal Credit Union New York Air Show at Jones Beach on Saturday and Sunday, May 27-28, 2006. Brooklyn Bridge 125th Anniversary on June 26, 2008, photographed from atop the St. George Towers in Brooklyn Heights. 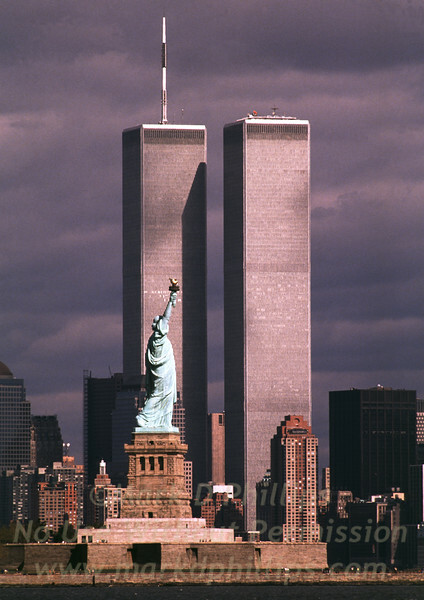 The Empire State Building is in red, white, and blue in the right of image. Lilly's Bar gate and the Todd Shipyard building in Red Hook Are long gone, replaced by the IKEA megastore on the Red Hook waterfront in Gowanus Bay. 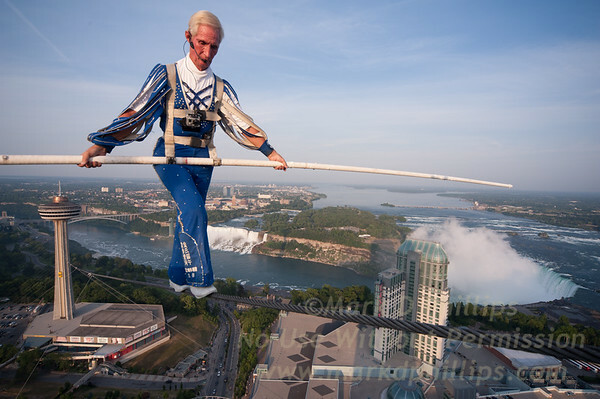 Jay Cochrane Skywalk2012 first day on July 6, 2012 from the Skylon Tower to the Hilton Fallsview Hotel, 1300 feet across in Niagara Falls, Canada.